Home - ArcWest Exploration Inc.
ArcWest Exploration Inc. is driven by an unparalleled team of technical experts to explore high quality prospects in the Golden Triangle and other proven mining districts throughout B.C. including the Toodoggone, the Quesnel Trough, the Skeena Arch and Vancouver Island. 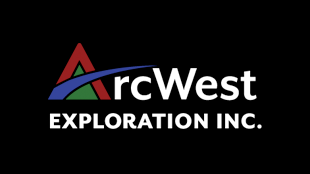 ArcWest’s team has a proven track record of discovery and senior partnerships and strives to generate shareholder value by executing safe, responsible, efficient exploration programs to test high quality targets. Welcome to ArcWest Exploration Inc. The Golden Triangle is located in northwestern British Columbia and is one of the world’s richest metallotects. The region spans over 50,000 square kilometers and its production of precious and base metals is comparable to any other global mining district. Mine production has occurred for over a century and includes renowned deposits such as Eskay Creek, Snip, Granduc, Premier and current producers Red Chris and Brucejack. Several major porphyry copper-gold deposits remain poised for future production including KSM (Seabridge Gold), Galore Creek (Teck Resources-Newmont Mining) and Schaft Creek (Teck Resources). The cumulative amount of contained metal within the Golden Triangle remains to be fully realized. New exposure, improved access and new geological understanding has resulted in exciting discoveries each field season; what will ArcWest discover this year? Glacial melt continues to expose unexplored ground every summer. At ArcWest’s Todd Creek project, some glaciers have retreated over two kilometers since Noranda explored the area in the late 1980’s. High and mid-elevations are emerging from beneath ice sheets and have exposed new copper-gold mineralized zones which have never been mapped or sampled. Yellow Bowl is one of ArcWest’s most prospective areas at the Todd Creek Project and was not accessible to previous explorers due to snow and ice. The result: one of the largest copper-gold mineralized zones in the Golden Triangle remains completely untested by drilling. This presents ArcWest with one of the most exciting exploration opportunities in North America. 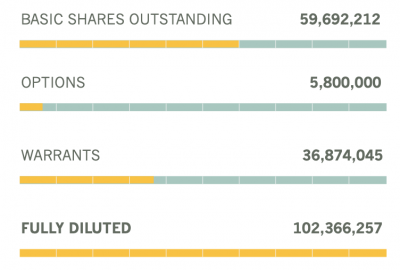 Gold prices, at historic lows when the Eskay Creek and Snip properties closed, have since risen. Despite their productivity and the high quality of the geology, past mining projects in the Golden Triangle have found themselves undercut in past decades by low gold prices. Combined with the high costs of exploiting resources in the region’s remote and difficult landscape, projects like Eskay Creek often struggled to remain profitable. Today, higher gold prices and the reduced costs of operating in the Golden Triangle are making projects in the area an attractive proposition for explorers and producers. Major infrastructure investment and development in northwest BC has been ongoing for nearly a decade. In 2014, BC Hydro invested $746 million to construct the Northwest Transmission Line which now provides clean, affordable power to major projects in northwestern BC. The 287-kilovolt line originates near Terrace and terminates 344 km north at a substation near Bob Quinn Lake. The Red Chris extension was purchased by BC Hydro and extends another 94 km north to the Red Chris copper-gold mine. Run-of-river hydroelectric generating projects constructed in the area supply power to the grid and include AltaGas’s Forest Kerr, McLymont and Volcano facilities and Regional Power’s Long Lake power plant. The Port of Stewart is Canada’s northernmost, ice-free port. Two shipping facilities, Stewart Work Port and Stewart Bulk Terminals, provide global access for incoming supplies and outgoing mined concentrate. Major upgrades to facilities were completed in 2015. The port of Prince Rupert also provides global shipping solutions and completed a major expansion in 2017 and is undergoing further expansion due to be completed by 2022. Click buttons below to view/print/download corporate materials.